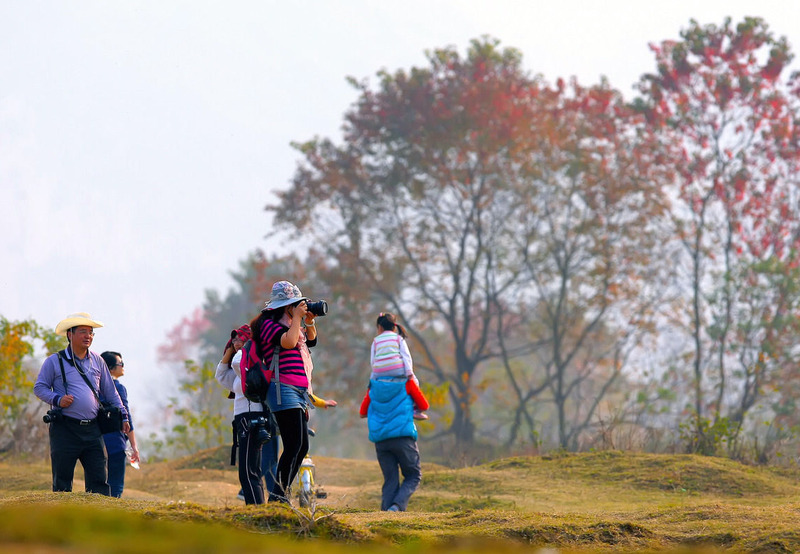 Autumn is never dull in Guilin. This is the season when autumn unfolds her brilliant reds, golds, and others under a warm sun. 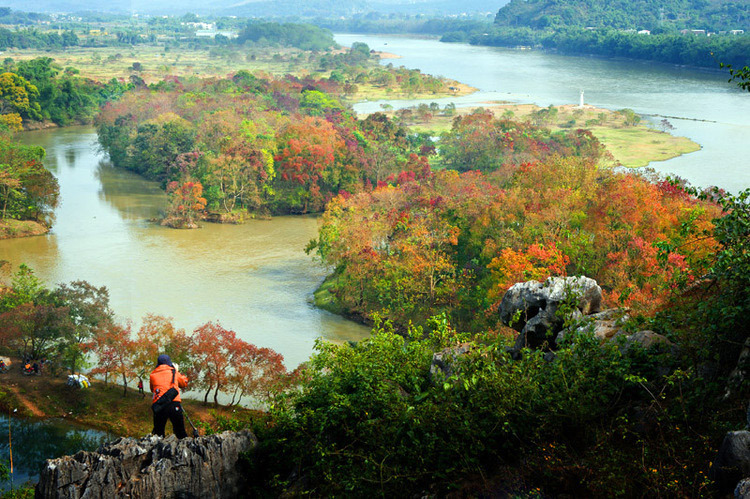 To catch an eyeful of colored autumnal scenery, people needn't go far from Guilin. On November 30, we went on a weekend trip to Wujiu Island, just 45-minute drive away from downtown. Wow, let's catch the end tail of autumn! Actually, Wujiu Island is a river bank, where Chinese tallow trees have covered, alongside the famous Li River. When autumn arrives, the area is covered by flaming red leaves, attracting many people to take photos at weekend. Not only that, great escape from city life and close to nature. It allow city folk to sample life in the wild. People can be inspired by activities such as picnics, leisurely walks and camping. So for us, take some time out to enjoy the beautiful scenery before winter comes. Walking through the woods, we got refreshment by the seasonal beauty that nature has to offer. The autumnal breeze cause the glowing red leaves, and the calm and mirror-like water relects the vivid autumn color. To get a good spot for photograph, we climbed up to a nearby karst hill. The beautiful scenery was set out before us as we reached the hilltop. The splendidly colorful leaves adorning the trees are a delight to the eye. Thus, we can't wait to record the beauty of autumn in images. Happy time really flies. For our autumn outing, it comes to the end. Strange or normal, a relaxing weekend trip in the wild provides a perfect motivation for the coming week's working.